Archie Goodwin. 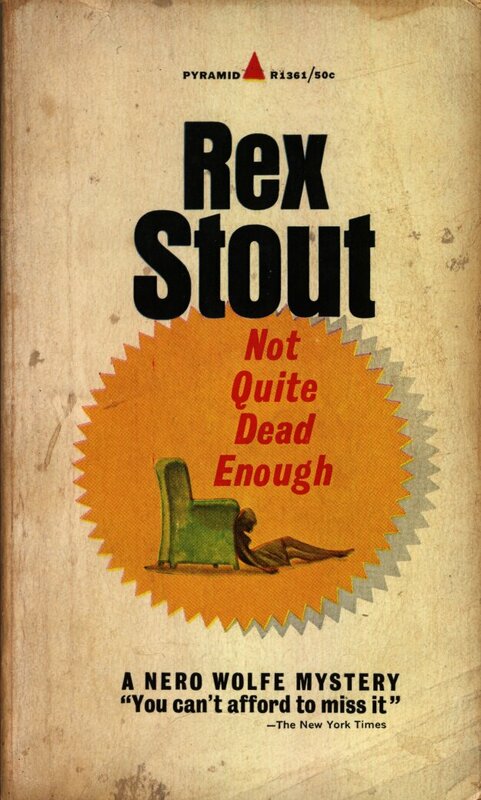 My boss is Nero Wolfe and there are times when I appreciate that overweight, beer-guzzling, cerebral orchid-tender. Like the time a joker asked, “Who killed that lady I saw you with last night?” Only it was no joke – and the cops picked me for the answer. So Wolfe heaved into his armchair and went to work. If I were in jail, I couldn’t run his errands, could I? 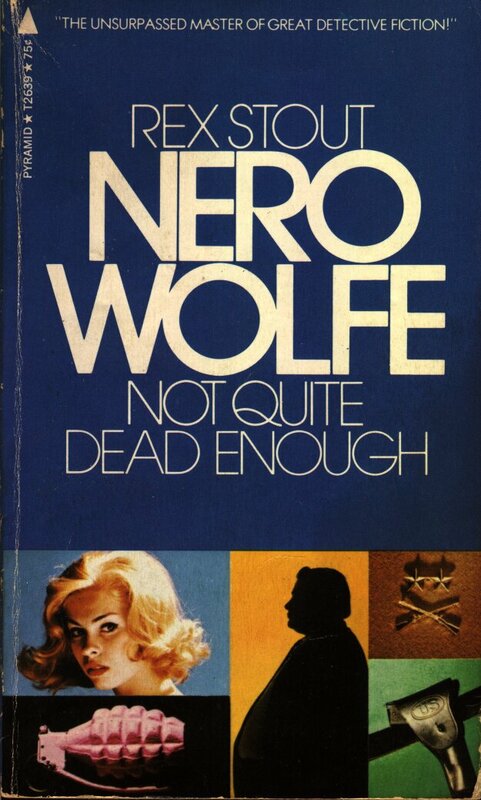 An unknown motive … a killer who couldn’t have killed … a fake murder that came true, add up to a bizarre case for Nero Wolfe in Not Quite Dead Enough. 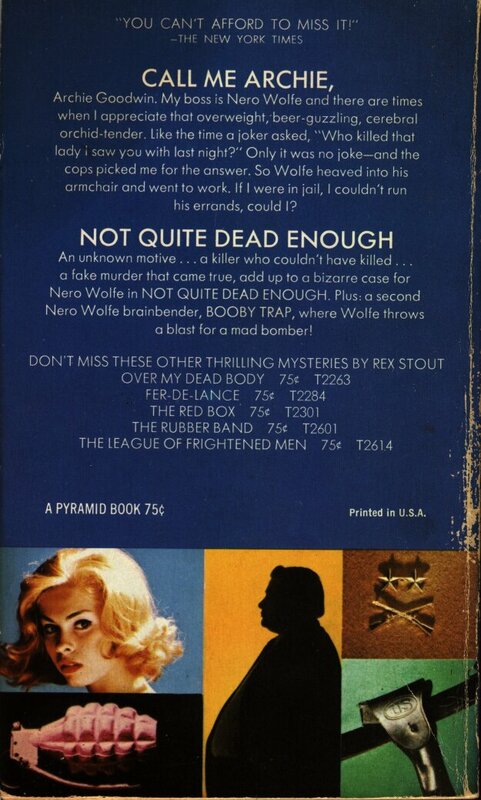 Plus: a second Nero Wolfe brainbender, Booby Trap, where Wolfe throws a blast for a mad bomber! Not Quite Dead Enough – 19?? 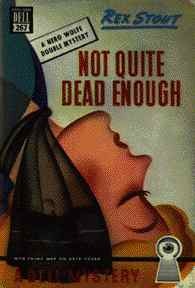 Cover is of a Dell paperback, date of publication unknown. 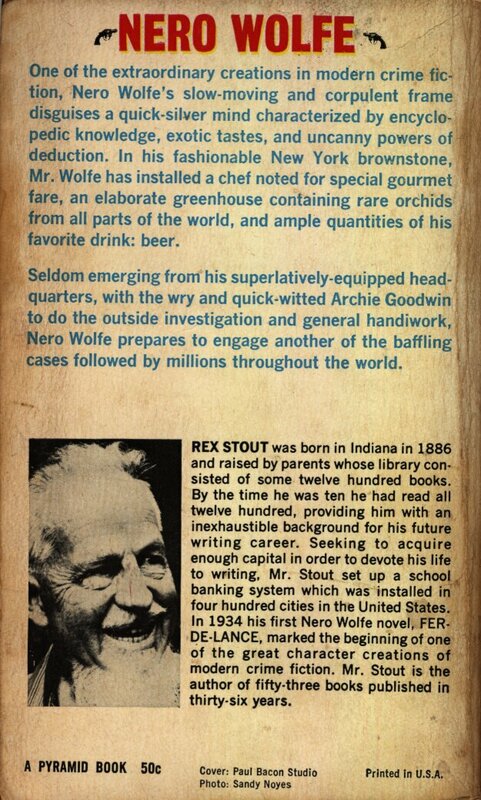 These were all parts of the perplexing puzzle that presented itself to the Corinthian mind of the incomparable Nero Wolfe. The finger of evidence seemed to point directly to Wolfe’s assistant. For Archie Goodwin had taken a young lady dancing and then, it seems, he’d strangled her, losing a lock of his hair in the process. And though he denied it, he refused to explain!